With an intercom system you can instantly communicate with everyone at once, an isolated group, or an individual - all with the press of a button. At Piedmont Security Systems we have three types of intercom systems: school intercoms, loudspeaker intercoms, and door intercoms. Each system provides something a little different to meet the needs specific to your business. Select an intercom system below and learn more about what Piedmont Security Systems can do for you! Unlike a standard paging system, a school intercom allows a user to reply hands-free to a page, or initiate a hands free conversation with the push of a button. 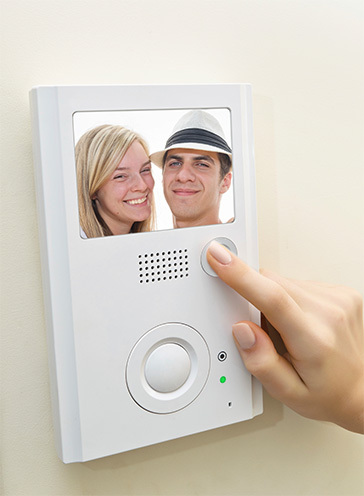 Piedmont Security Systems offers intercoms with both a single zone and multi-zone systems! Systems come in analog, hybrid and full IP to meet your requirements now and well into the future. 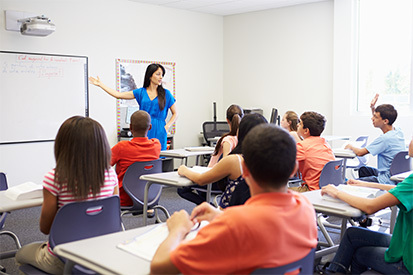 Not only can you use your intercom system to communicate across your school or business, but you can also play music or set up a scheduled bell system. In today's environment, mass notifications are essential for the safety and security of your students, educators, and visitors. Communicate with your warehouse, grocery store, or office with Piedmont Security Systems loudspeaker intercom system. This intercom system is the best way to make an announcement to your employees or customers, or to locate an individual in a large facility. 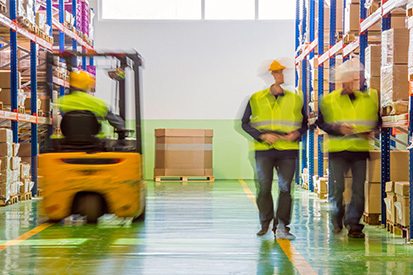 With safety being of great concern for businesses, Piedmont Security Systemsâ€™ loudspeaker intercom system can also provide emergency notification through speakers, horns, visual signs and computer pop-ups! Most telephone systems offer limited paging capabilities, but with Piedmont Security Systems you can customize your intercom system to what matters most to your business. With a door intercom system from Piedmont Security Systems you can easily identify and communicate with anyone at the door and grant a visitor access to your building, all without getting up! We know that building security is important to a business and with a door intercom system you can cover all of your bases before the visitor ever enters the building. With both audio and visual capabilities, a door intercom with Piedmont Security Systems is equipped with the features you need for access security. Get a FREE Quote from Piedmont Security Systems Today! OR Fill out the form below and a Piedmont Security Systems Consultant will contact you by phone to discuss your Security System needs.